Almost one year ago Tolar, Baby K and I landed in SW Virginia only knowing my parents and my aunt. Our lives had drastically changed and I was eager to start figuring out what was next for us. While we will ALWAYS be grateful to our family for EVERYTHING, to say I was hungry for friends is an understatement. I was a little lonely when we first moved; I really wanted a girlfriend that I could meet up with and I was desperate for K to have interaction with children. Enter Lifeline Church. I know I've talked about my church a lot and there is a reason. Lifeline Church and all of the fabulous people that attend were precious answers to the prayers I had prayed. Those people welcomed us into their family with arms wide open and vowed to do life with us. And that is just what we are doing!!!! Our very first friends, Brad and Jessi, started a small group at their house in January and it is awesome to say that we have a pretty tight knit group. Jessi, from day one, just got me! She and Brad have gone through a similar situation as Tolar and I and we have been able to lean on each other during trying times. 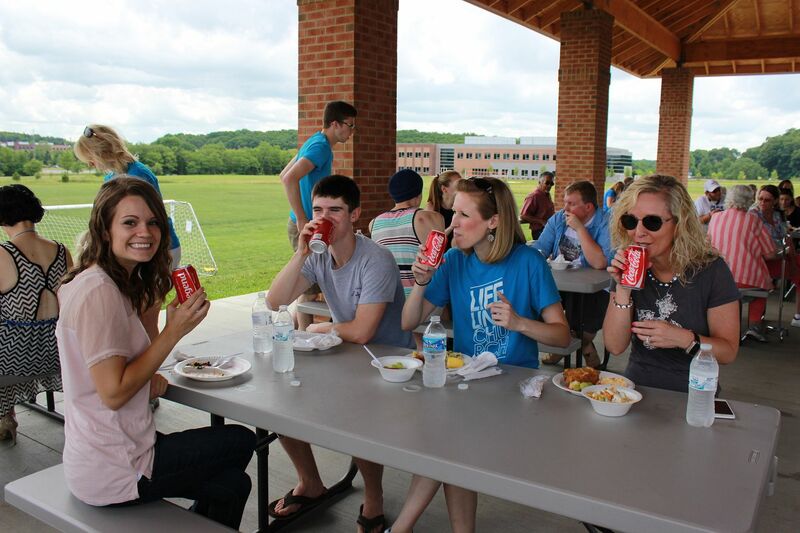 God definitely knew what he was doing when He guided us towards Lifeline Church and allowed us to meet Brad and Jessi. And then they started this small group and our friend circle has expanded! We get to hang out with awesome people every single Sunday (both at church and that night at small group). We laugh, we joke, we play, we hug everyone's kids and we get real with God. I've never shared so many personal thoughts with friends that I have only known for a couple months. But our group just feels so safe and everyone is completely genuine. I totally needed this group of friends in my life. 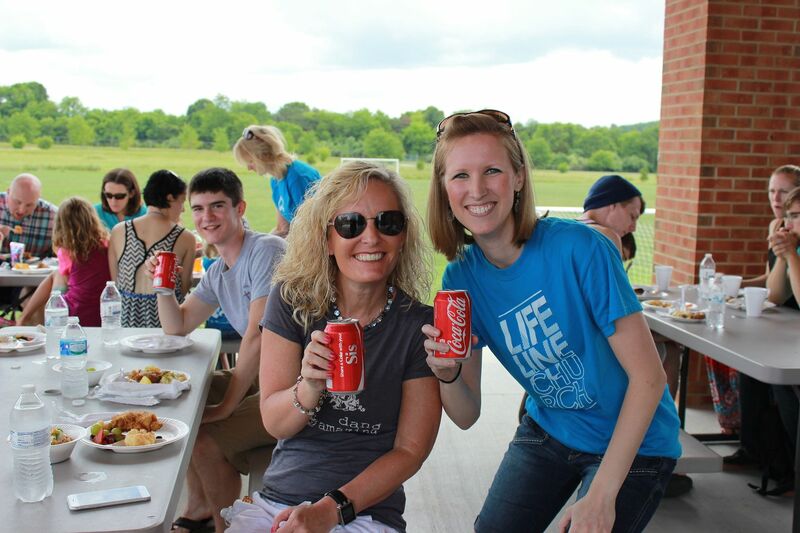 So when our church had a family picnic over the weekend, I was excited to get to bring a 32 pack of the new Coca-Cola Nickname cans to pass out to these incredible people in our lives. Everyone means so much to us and any chance that I can tell them that is a good reason for me. 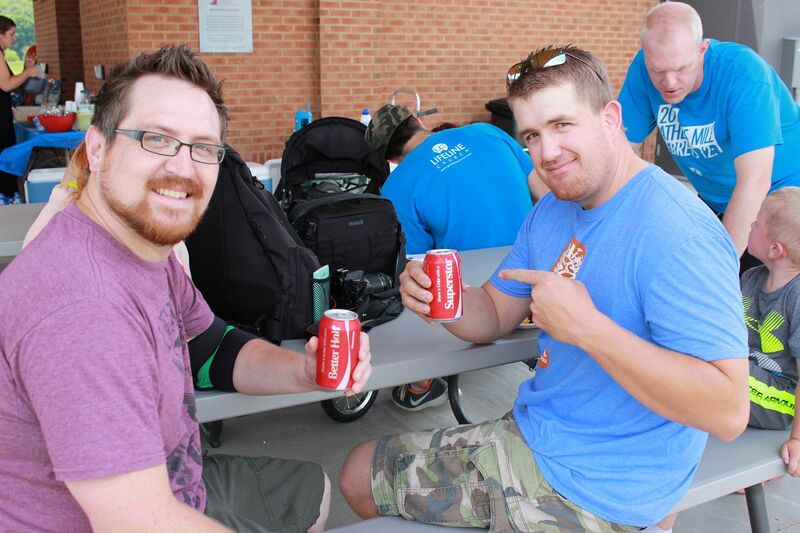 The cans are awesome and have some really fun names of different people in your life with whom you would want to share a Coke; Sidekick, Dreamer, Sis, Bro, Better Half, Grillmaster, Adventurer and most importantly FRIEND. 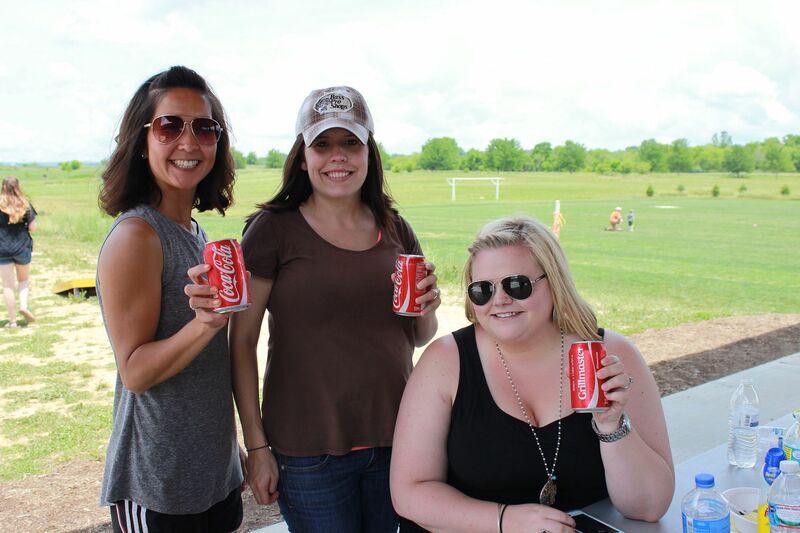 We all had fun looking through the different names on the cans and finding the perfect one for everyone. 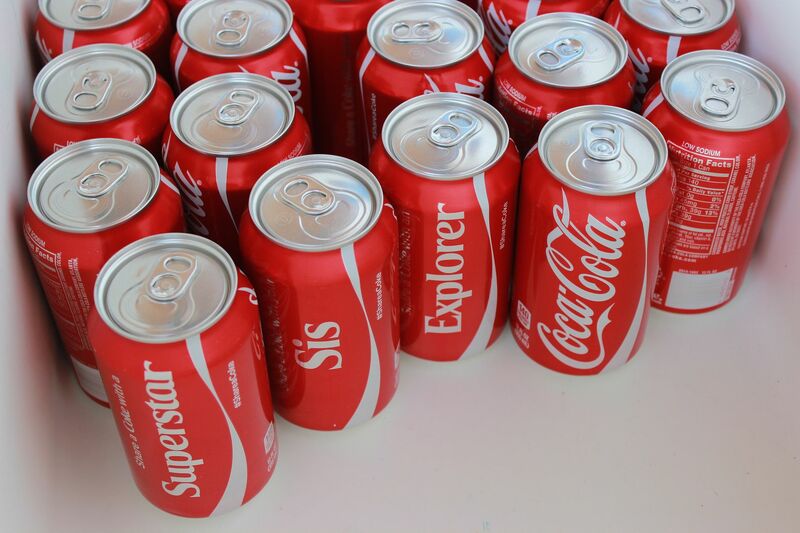 I loved the campaign that Coke did last summer with specific, proper names, but this campaign is really neat!!!! I think assigning an adjective to a friend/important person means a lot and this way no one is left out. Every single person that I have met because of Lifeline Church has been nothing but nice. With a warm smile and a helping hand, these people make everyone feel special and that they belong. And those are the PERFECT types of people to have in our lives. I purchased my 32 pack at Sam's Club, THE place to go when you need to get a lot of food and beverages to feed a large crowd - exactly what our picnic needed. The 32 pack of Coca Cola was found in an aisle in the back of the store along with all of the other sodas. To find these super cool cans near you, click here and imagine my voice saying "you're welcome"!!!! 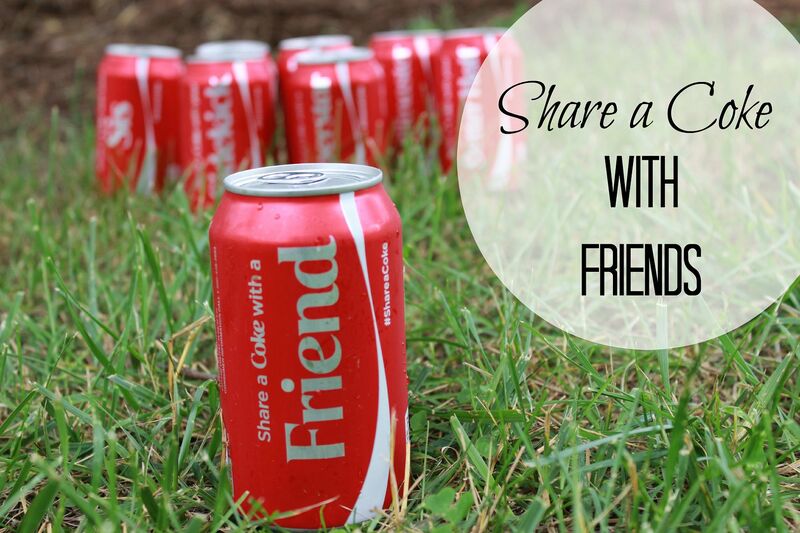 What ways would you #ShareItForward with the 32 pack of Coca Cola cans? I'd love to hear your ideas below. To get some help in thinking up how you would #ShareItForward and tell the people in your life how much they mean to you, then check out this site. 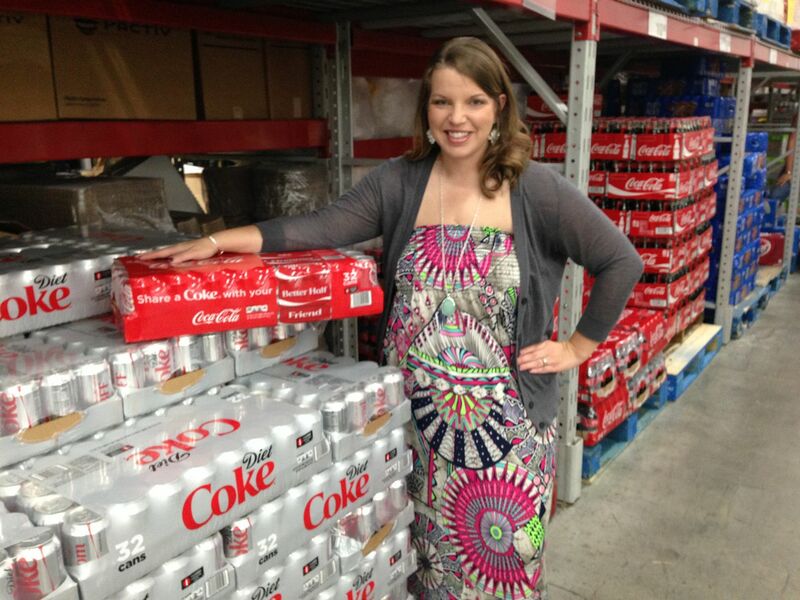 You can find Sam's Club and Coca Cola online, isn't it fun to interact with brands via social media? I love seeing some of the clever marketing campaigns that some of my favorite brands run online and Sam's Club and Coca Cola don't disappoint. I love those cans, what a clever marketing design!